Determined to cut down on smog that chokes the nation’s skies, the Obama administration finalized new limits on ozone. But the limits are weaker than some had hoped, suggesting that fierce critics like Texas had some effect on the outcome. Determined to cut down on smog that chokes the nation’s skies, the Obama administration on Thursday finalized new limits on ozone — a pollutant known to worsen asthma, lung disease and heart conditions. But the new limits are weaker than some observers anticipated, suggesting that fierce critics like the state of Texas and a range of industries proved at least partially successful in their loud push against the federal Environmental Protection Agency's latest effort to crack down on the pollution wafting from factories, power plants and vehicle tailpipes. “Put simply – ozone pollution means it hurts to breathe for those most vulnerable: our kids, our elderly and those suffering from heart and lung ailments,” EPA Administrator Gina McCarthy, said in a statement Thursday. “Our job is to set science-backed standards that protect the health of the American people." The new standard shrinks the previous 75 parts per billion ozone limit — which the EPA's advisers have called far too high — to 70 parts per billion. That’s more lenient than the 60-parts-per-billion that standard environmental groups initially called for, and it’s at the top of the range the agency proposed last November. Nevertheless, some Texas officials soundly blasted the rule. U.S. Sen.Ted Cruz called it "the latest in a multitude of back-breaking regulations" from the Obama administration, saying it would bring "great harm" on consumers, workers and companies with little benefit to air quality. Last year, before gathering hundreds of thousands of public comments and holding public meetings on the plan, the agency proposed limits in a range of 65-70 parts per billion. Republicans and industry groups trotted out studies portending economic doom. Pushing back against any efforts to lower the standard, the Texas Commission on Environmental Quality paid a private research firm $1.65 million to poke holes in the science behind the new threshold. Bucking the scientific community’s consensus, those Texas regulators suggested that tightening limits on ozone — which forms when emissions from cars and coal plants mix with other airborne compounds in sunlight — would not improve public health. On Tuesday, the agency said the final rule "makes no sense." 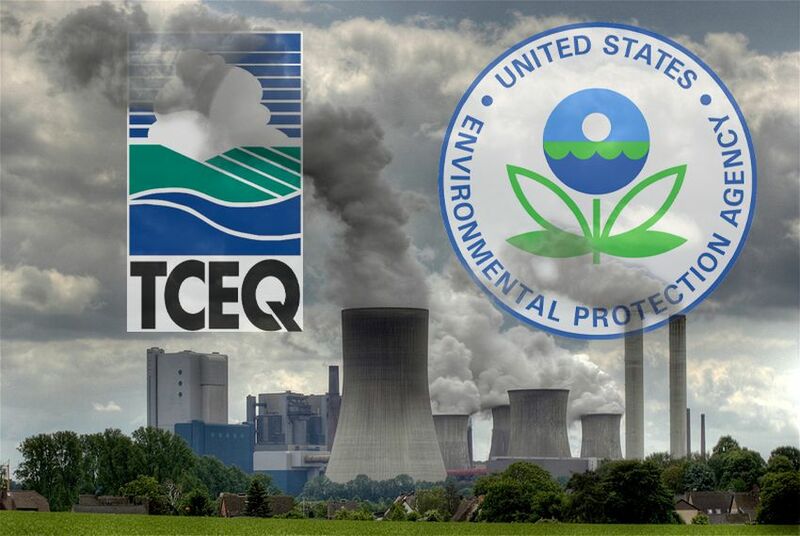 "TCEQ’s own science and data show that the new standard will have minimal — if any — health benefit," the agency said in a statement. Nationally, peak ozone levels have fallen by one-third since 1980. Though not as strict as some expected, the new standard will affect plenty of Texas communities. More millions people in the U.S. — including those in Houston, Dallas and San Antonio — live in areas that don’t even meet the previous standards. Some communities have seen improvement, but health problems persist. In the Dallas-Fort Worth area alone, more than 1.1 million people struggle with asthma, heart disease and lung disease. El Paso, Austin and swaths of East Texas that may have immediately struggled to meet a 65 parts-per-billion standard appear to be spared under the final rule, which applies to three-year averages. But depending on the severity of their ozone problems, regions would have to meet the lower standards sometime between 2020 and 2037. Outside of California, whose geography makes it more prone to struggle with ozone, the EPA expects just 14 counties in the nation to fail to meet the new limits by 2025. The agency pegged the cost of implementing the rule at $1.4 billion annually by 2025, but said it would yield between $2.9 to $5.9 billion in yearly public health benefits by then. Some health and environmental groups expressed disappointment in the final rule. Explaining her decision to set the threshold at 70 parts per billion, McCarthy said research clearly showed that healthy adults will feel ozone harm at 72 parts per billion, and that she needed to add a cushion for the elderly, children and others who are more vulnerable. “I need to do what’s requisite. Not too high, and not too low, and it’s very challenging. There’s no bright line,” she said.